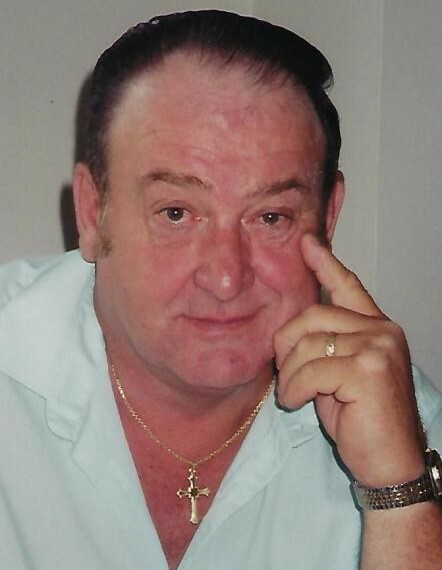 Obituary for Thomas M. "Toby" Tobin | John V. Morris Family Funeral Homes, Inc.
Mr. Thomas M. "Toby" Tobin, 81, a resident of Plains Township, entered into Eternal Life Sunday morning in the care of the Wilkes-Barre General Hospital following an illness. Born on July 10, 1937 in Edwardsville, he was one of two sons to the late Thomas J. and Margaret (Gabler) Tobin. Educated in the Edwardsville schools, he was a member of the 1955 graduating class of the former Edwardsville High School. It was during those years Toby excelled as an athlete, being a member of the football team. He and his teammates won co-championship of the West Side Conference in 1954. His glory days didn’t end after graduation. Toby was instrumental in organizing the many annual class reunions shared over the years almost single-handedly for his classmates of whom he would keep updated through emails. He and his brother Jim owned and operated Tobin Brothers Roofing and Siding where he remained active for some 45 years. In his spare time, Toby kept his athletic abilities sharp as an avid bowler, golfer and also enjoyed playing basketball and baseball. His skills in bowling garnered him a perfect "300" game, enlisting him in the Wyoming Valley Bowler's Hall of Fame in 2000. He also was a member of the Northeast Pennsylvania Senior Golf League at Emanon Country Club in Falls. Devoted to his Catholic faith, Toby was a member of the Church of Saint Ignatius Loyola in Kingston where he served religiously as an usher for 10:30 a.m. Sunday Mass over thirty-seven years. Despite his involvement in church, bowling, golfing and class reunions, Toby is probably best known for being half of the locally popular Tobin Brothers Band. A consummate performer, he and Jimmy would play music for local social halls and events. Above all, he is most notably remembered for his quick wit and ability to bring laughter to his audience through the many skits and impersonations he would perform. He will be greatly missed by all those who knew and loved him. He and his wife, the former Sharon Hester celebrated thirty-seven years of married life together on October 10th of this year. Left to cherish his wonderful memory in addition to Sharon at home are his brother James Tobin of Edwardsville; Sisters-in-law, Pat Wiggins of Port Hadlock, WA; Linda Jones and Martha Hester of Plains Township; Nieces, nephews including his godson, John Karazia Jr.; numerous cousins and dear friends. Funeral services for Toby will be conducted on Wednesday at 9:45 a.m. from the North Wilkes-Barre location of the John V. Morris Family Funeral Homes Inc., 625 North Main Street, followed by a Funeral Mass at 10:30 a.m. in the Church of Saint Ignatius Loyola, 335 North Maple Avenue, Kingston. The Reverend Joseph J. Mosely, parochial vicar, will serve as celebrant and homilist. Interment with the Rite of Committal will follow in the parish cemetery, Hoyt Street, Pringle. Relatives and friends may join Toby's family for visitation and remembrances Tuesday evening at the funeral home from 4:00 until 7:00 p.m.